I hope everyone had a fabulous Christmas (or holidays, if you don't celebrate Christmas)! I had a wonderful time with my family and got some goodies that I wanted to share with you! SYNOPSIS: The Tudor period (1485 to 1603) marks in the minds of many the emergence of an English national identity. Defined by the totemic figure of the virgin queen - Elizabeth I - it witnessed the end of the dynastic uncertainties of the Wars of the Roses, the creation and triumph of the Anglican Church; the successful repulsion of foreign invaders and the beginnings of the adventure of empire; the blossoming of a sublimely gifted generation of musical composers, including Thomas Tallis and William Byrd; and the flowering of English poetry and drama, culminating in the glories of Ben Jonson, Christopher Marlowe and William Shakespeare. But it was also a period wracked by rebellion, invasion scares, sectarian strife, and - increasingly - by worries about dynastic succession. "The Tudor Chronicles" is a compelling, year-by-year chronology of this tumultuous and critical period in the development of the modern English nation. Each year is covered by a concise, informative and accessible narrative, amplified by extensive quotations from contemporary sources and accompanied by generously captioned and stunning images of the period - including portraits, maps, illuminations, royal seals, tapestries and other artefacts. 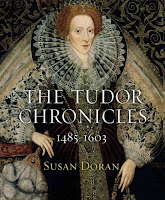 Authoritative, informative and sumptuous, and compiled by a scholar who is steeped in knowledge of the period, "The Tudor Chronicles" brings a glorious era of English history dramatically and vividly to life. It is the perfect gift book for anyone with a love of, or fascination for, 16th-century English history. Amadeus meets Little Women in this irresistibly delightful historical novel by award- winning author Stephanie Cowell. The year is 1777 and the four Weber sisters, daughters of a musical family, share a crowded, artistic life in a ramshackle house. While their father scrapes by as a music copyist and their mother secretly draws up a list of prospective suitors in the kitchen, the sisters struggle with their futures, both marital and musical—until twenty-one-year-old Wolfgang Mozart walks into their lives. Bringing eighteenth-century Europe to life with unforgiving winters, yawning princes, scheming parents, and the enduring passions of young talent, Stephanie Cowell’s richly textured tale captures a remarkable historical figure—and the four young women who engage his passion, his music, and his heart. A sweeping novel set in war-torn 1928 China, with a star-crossed love story at its center. Some good stuff you have there! Hope you enjoy them! I had that Tudor Chronicles book and it got washed away in the flood :( It's a must for any Tudor fan as it details EVERY year of the dynasty! Must re-buy it soon! I also have The Russian Concubine but haven't read it. This is the second blog I have seen Marrying Mozart on. I may have to get this one. Happy reading! Oh, Marrying Mozart is a wonderful book! I highly recommend it, and hope you'll enjoy reading it. These look good! I'm going to check out Marrying Mozart, I've read that others like a lot. I didn't do Mailbox Monday this week, but I did a post about Books for Christmas. I also have the Tudor Chronicles..I believe it was in the bargain section at B&N. Excellent book!! Thanks for stopping by Amy!! If you can fit into a suitcase we will take you along when and if we ever go back to Ireland!!! You would love it!! Kate Furnivall's The Red Scarf was a phenomenal read. I can't wait to get The Russian Concubine. Enjoy all your new books and I wish you a happy new year. The Russian Concubine sounds really good. Happy reading! I LOVED The Russian Concubine. In fact I am reading the sequel, The Girl from Junchow now. Several of my students have borrowed and read The Russian Concubine and enjoyed it as well. You received some great books...The Russian Concubine sounds especially interesting to me! I am jealous of you getting Marrying Mozart. It sounds so good. Enjoy....I soooooooooo need that Tudor's Chronicle...for sure. 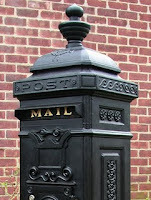 Great mailbox Amy. Lucky you Amy. Looks like these are going to be some good ones! Enjoy! I really enjoyed The Russian Concubine when I read it. I currently have the sequel out from the library and look forward to reading it a lot! I am also excited at the sound of her next book.